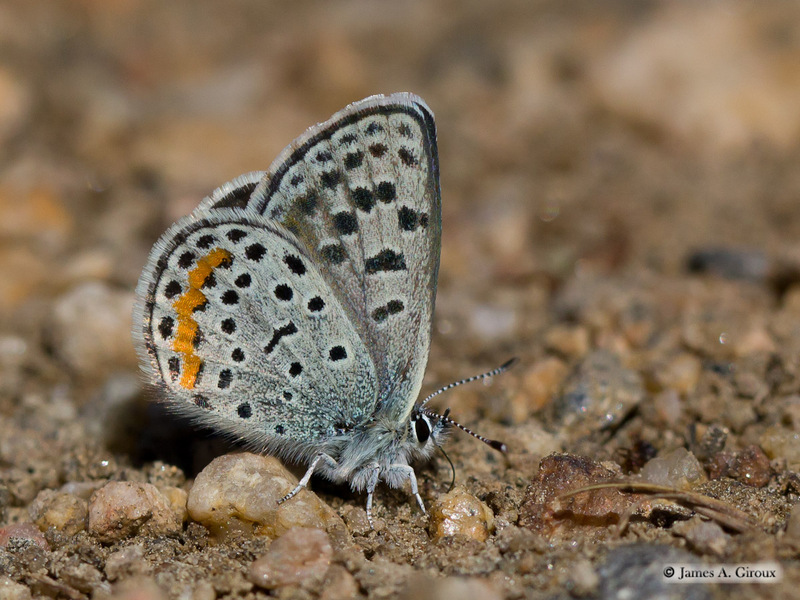 Identification: Upperside of male bright lilac-blue with dark medium-wide borders; corner of hindwing has a small orange patch and small marginal spots. Upperside of female brown with broad orange marginal band. 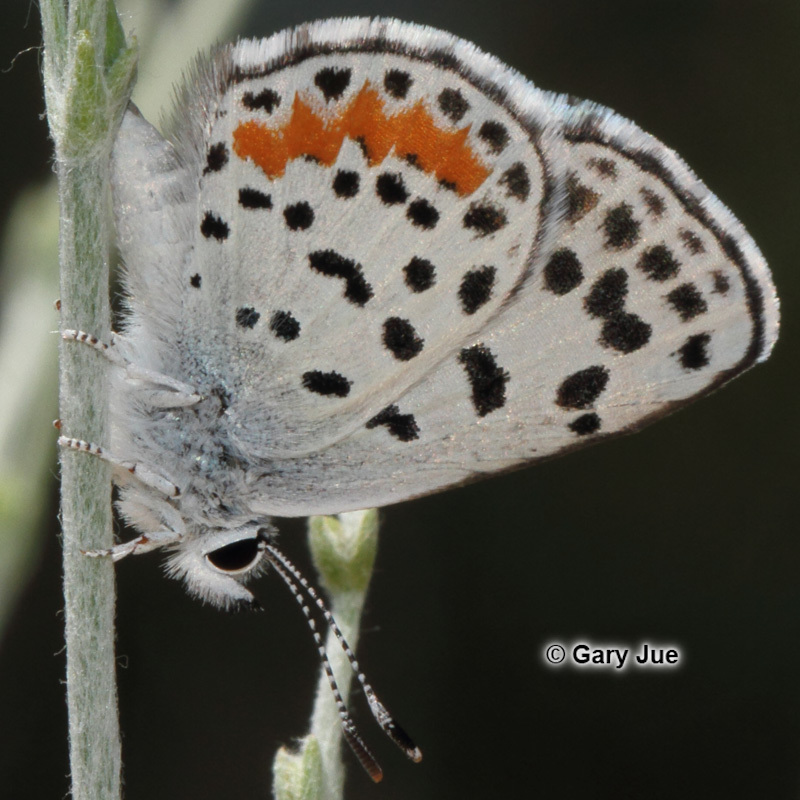 Underside of both sexes off-white with distinct black spots; orange band on hindwing margin continuous. Wing Span: 11/16 - 7/8 inches (1.7 - 2.2 cm). 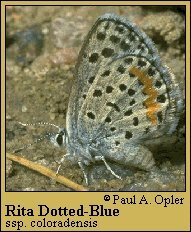 Life History: Rita Dotted-Blues stay near their host plants. Males patrol around the plants all day to find females. Eggs are laid singly on flowers of the host. Caterpillars feed on flowers and fruits, and are tended by ants. Flight: One flight from July to late September. Caterpillar Hosts: Wild buckwheat species including Wright\'s buckwheat, Effuse Buckwheat, and others. 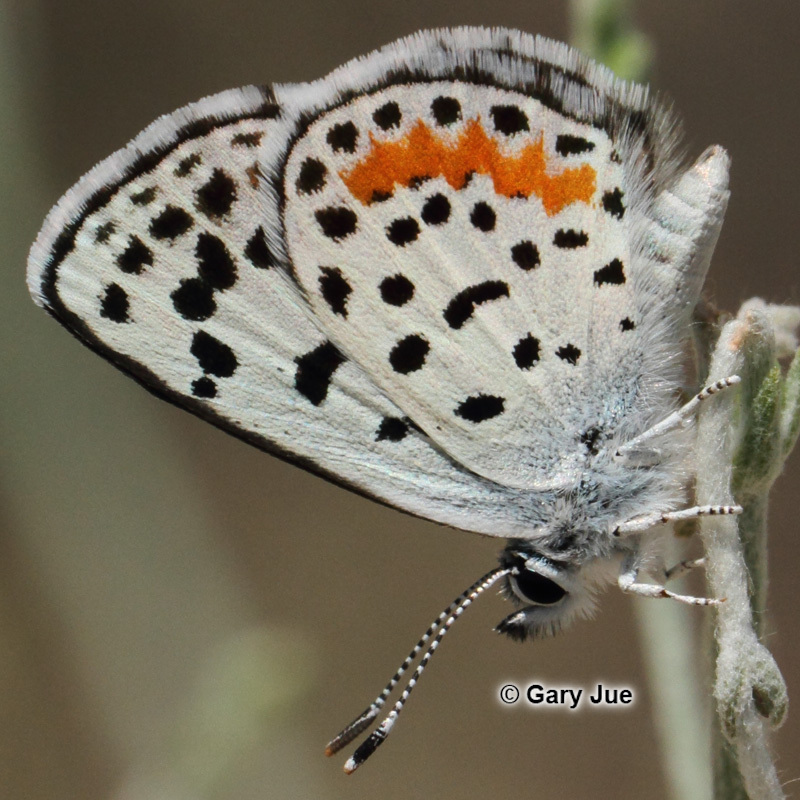 Adult Food: Nectar from Eriogonum flowers. 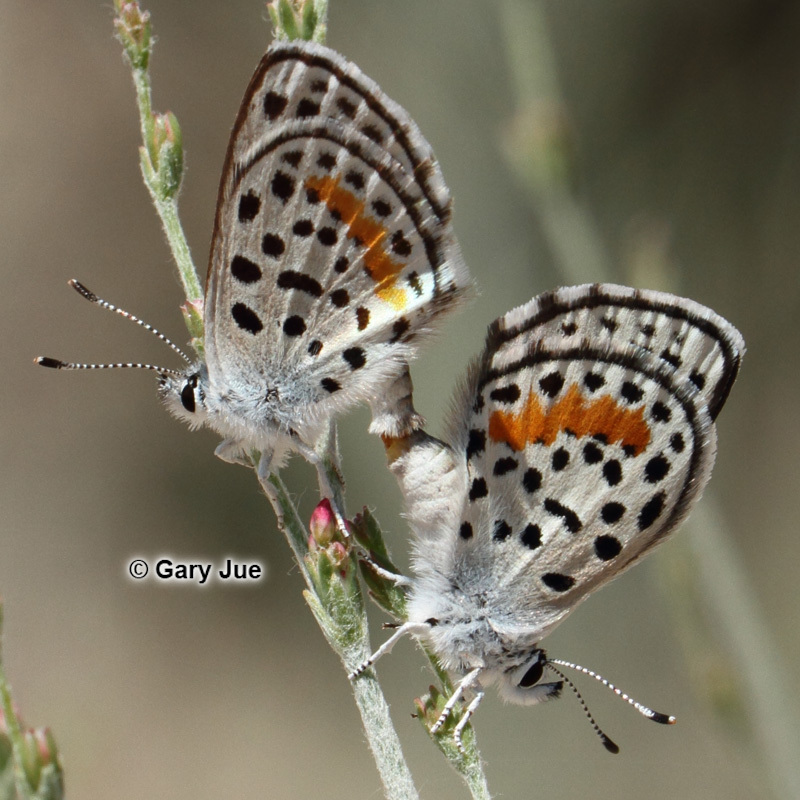 Habitat: Arid areas such as desert foothills and shortgrass prairie. Range: Wyoming, Colorado, Arizona, and New Mexico. Also found in northern Mexico. Conservation: Some populations are of concern because of limited habitat or threats to habitats. NCGR: G3, G4 - Very rare or local throughout its range or found locally in a restricted range OR Apparently secure globally, though it might be quite rare in parts of its range, especially at the periphery. Some subspecies are T2 or T2,T3. Management Needs: Maintain habitat integrity. Monitor invasion by exotic weeds, cattle grazing [removal of cattle grazing may be detrimental], and disruption by off-road vehicles.